Summer camp fever is everywhere! Next year I’m plotting a trip to Squam in New Hampshire. Lakeside cabins and crafty workshops sounds pretty perfect to me. Check out Anne’s photos here. We’re also getting pretty excited for the workroom’s Summer Camps in the city. There are still spots in our Amish Bars, Machine Foundation Paper Piecing, Natural Dyeing and Japanese Dress Books camps. The incredible Lizzy House will be joining us in Toronto to wrap up our camp schedule with Colour Theory + Mini Quilts, Pattern Design + Block Printing and Champion Ribbon classes. There are still spots in the Champion Ribbon class and we are taking wait list names for the other two classes. It’s going to be such a fun week. 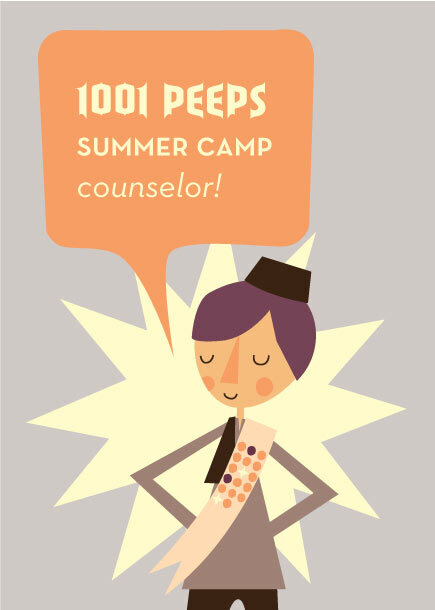 In the meantime, get ready for 1001 Peeps Summer Camp online! 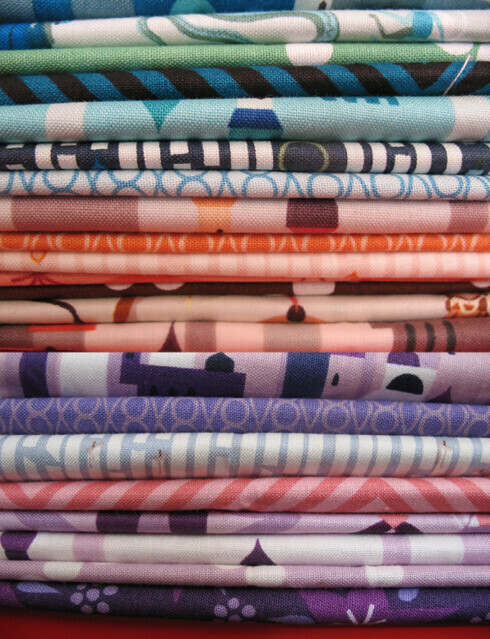 In anticipation of Lizzy House‘s new fabric collection, there will be a summer long camp that you can participate in. It starts today with Sew Mama Sew and every week you can visit another blog to find a fun project to make with your 1001 Peeps fabric. There will be giveaways each week and Lizzy’s new book will be released in July. I’m am thrilled to be a camp counselor for this year’s camp. August 12: Karyn Valino, Make Something – that’s me!! If you’re joining the summer camp fun, you can grab this troupe button to post on your blog. the workroom will be receiving the ENTIRE 1001 Peeps collection in July, so start planning your projects! Every single print in this collection is amazing and I’m loving the colour palette so much. I can hardly wait til it gets here. AND. Today is Lizzy‘s birthday. Happy Birthday Lizzy!!! bottom photo courtesy of Lizzy House.